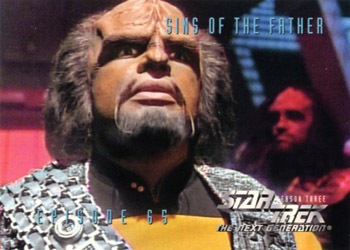 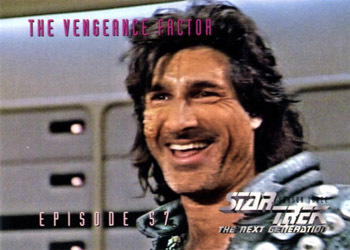 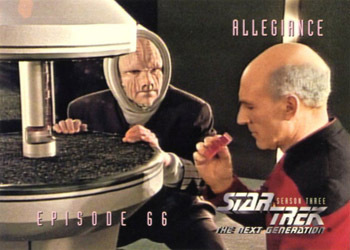 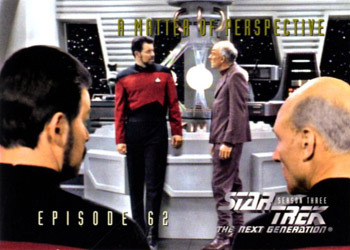 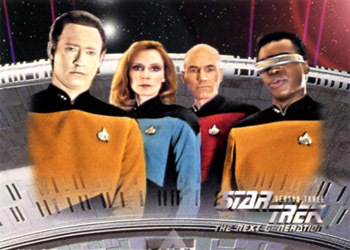 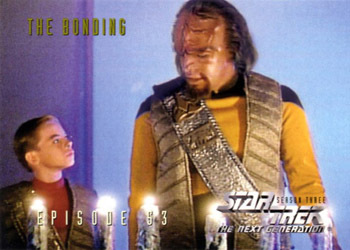 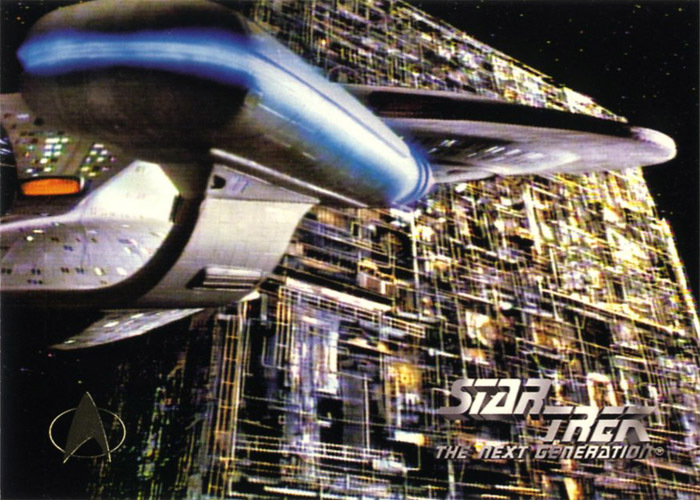 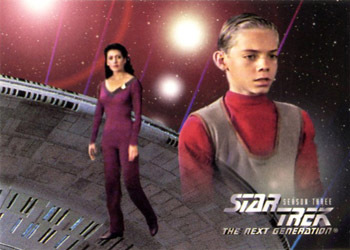 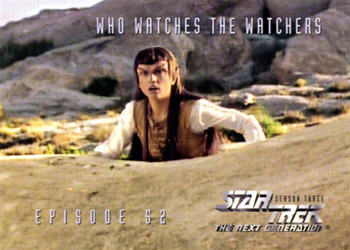 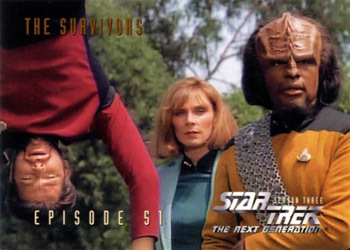 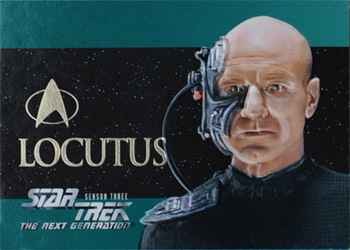 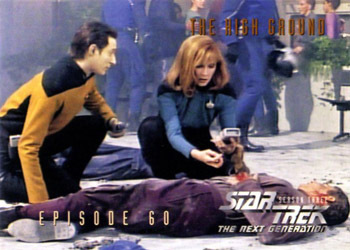 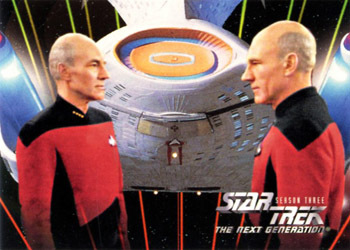 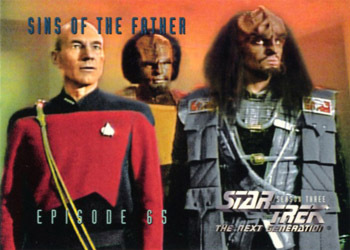 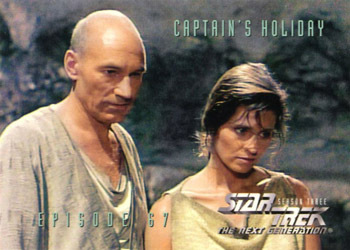 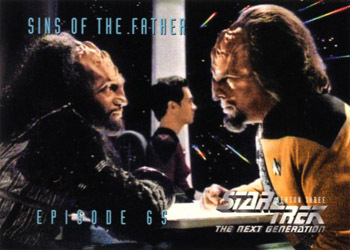 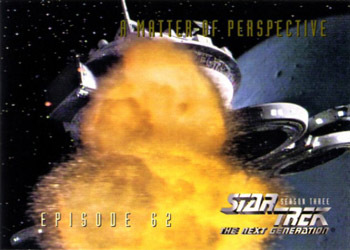 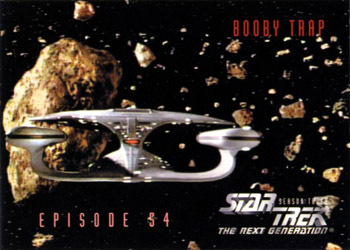 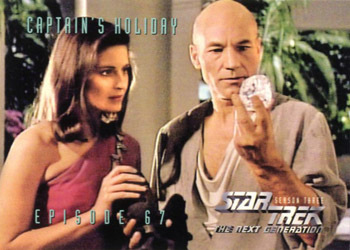 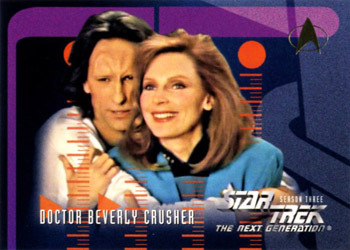 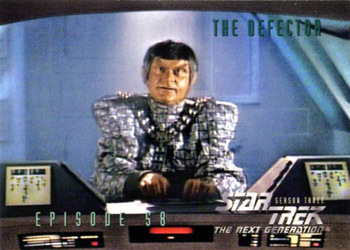 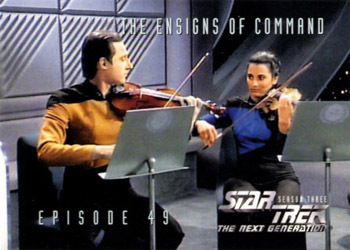 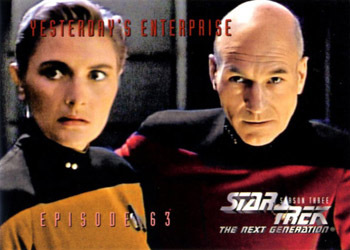 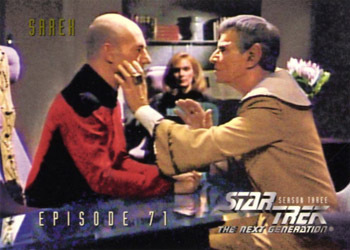 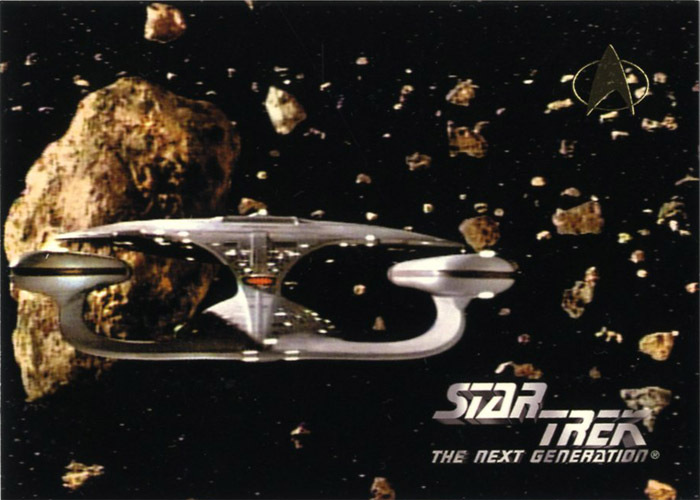 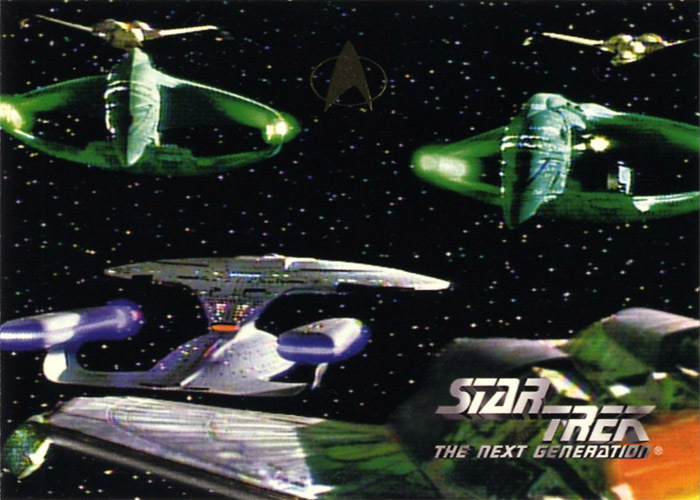 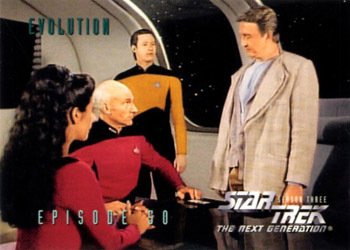 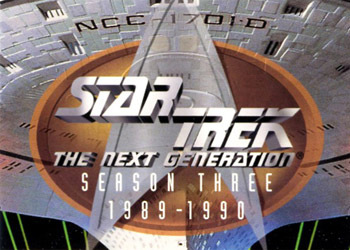 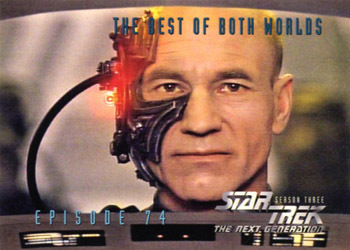 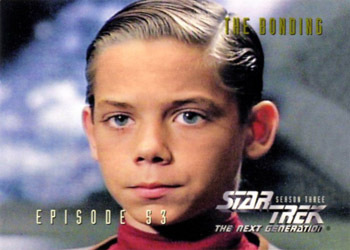 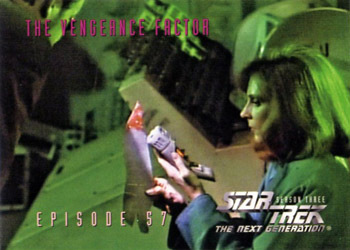 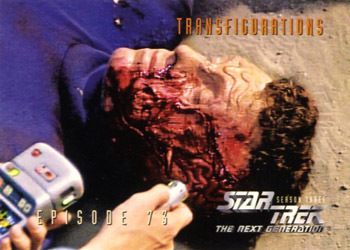 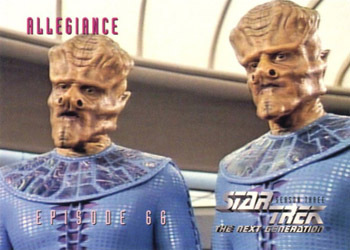 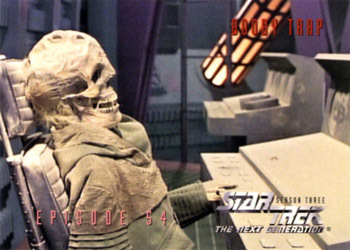 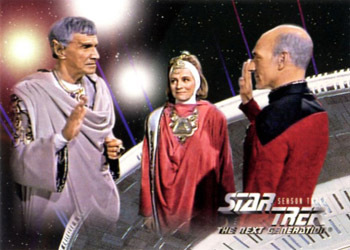 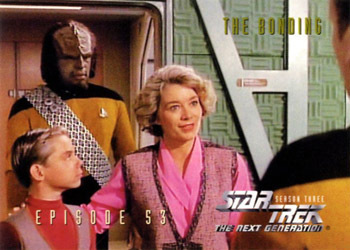 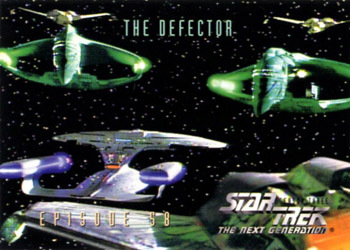 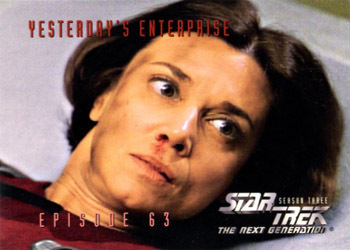 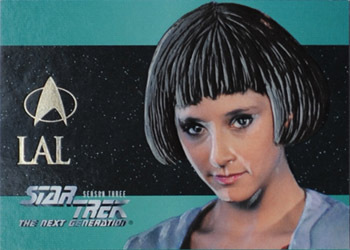 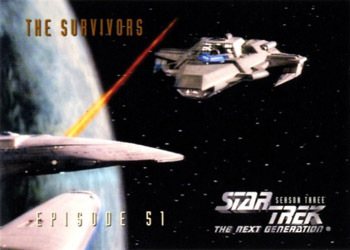 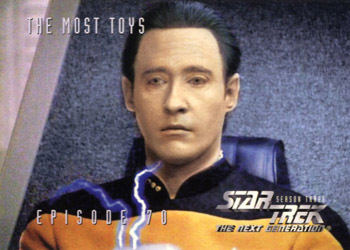 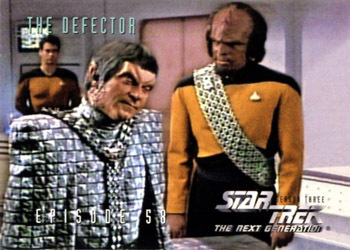 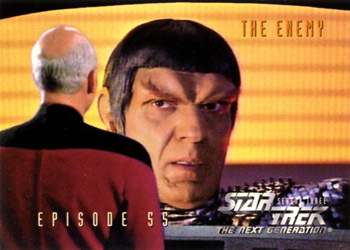 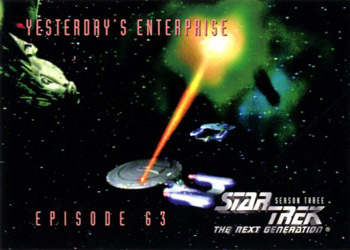 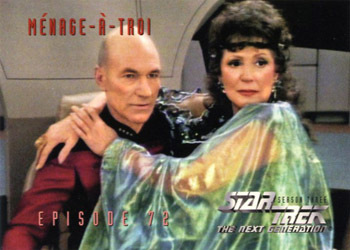 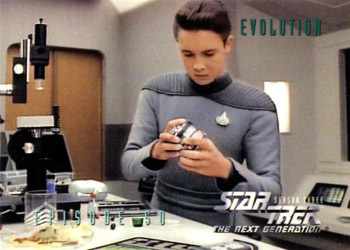 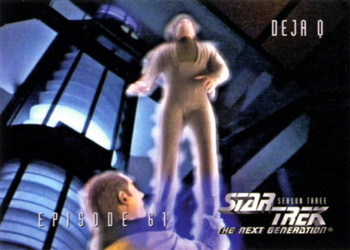 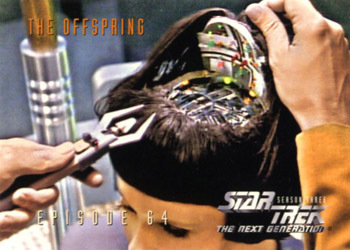 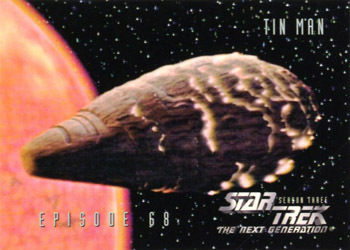 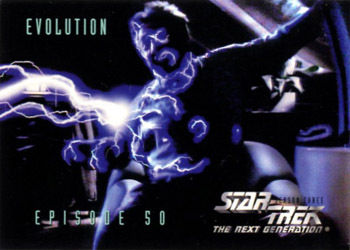 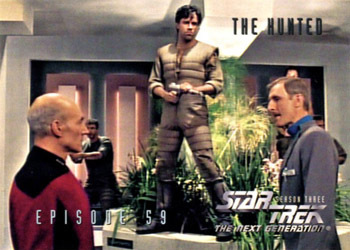 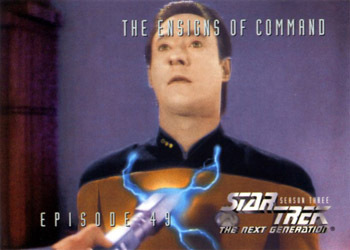 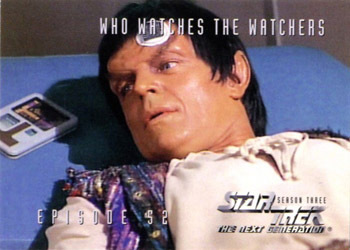 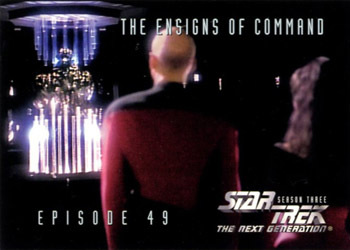 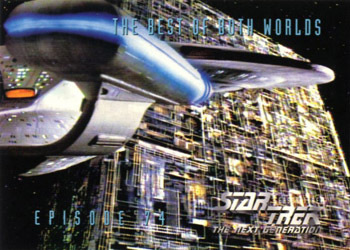 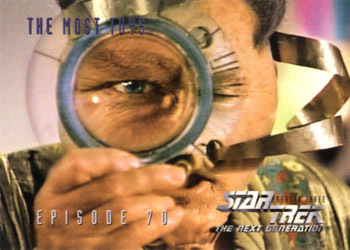 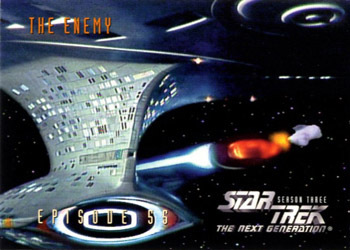 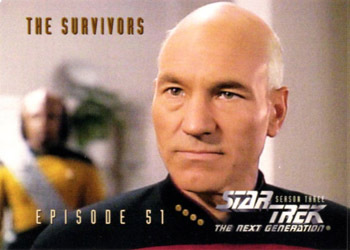 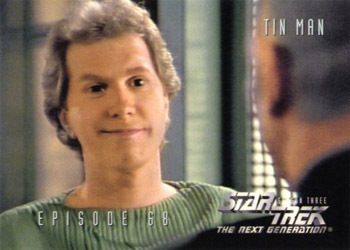 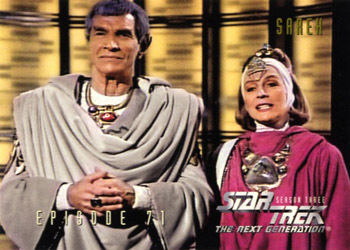 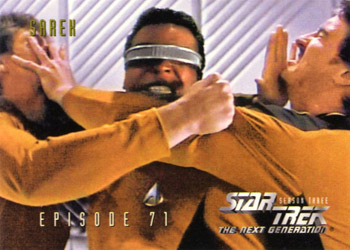 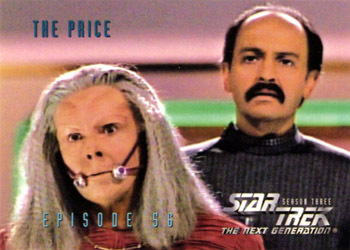 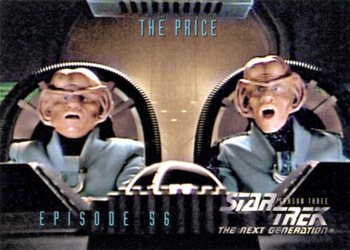 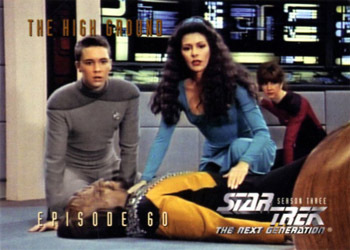 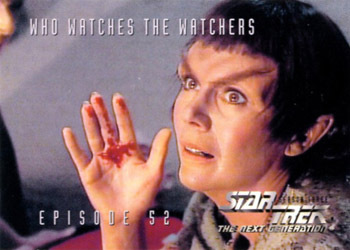 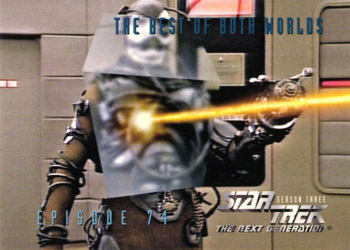 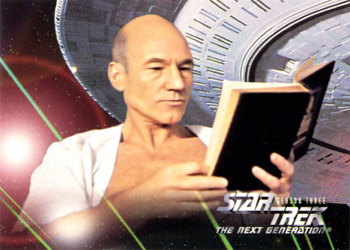 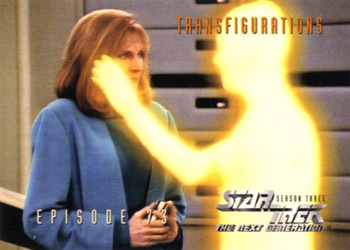 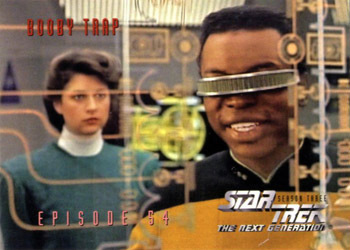 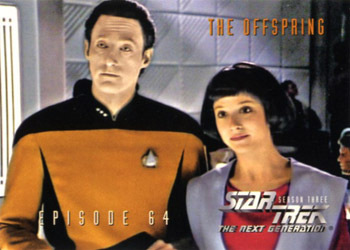 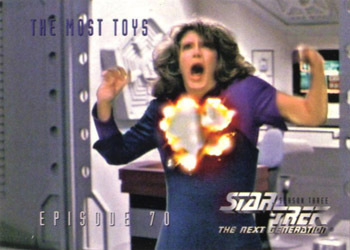 This is the third of an episode specific series for each of the seven seasons of Star Trek: The Next Generation. 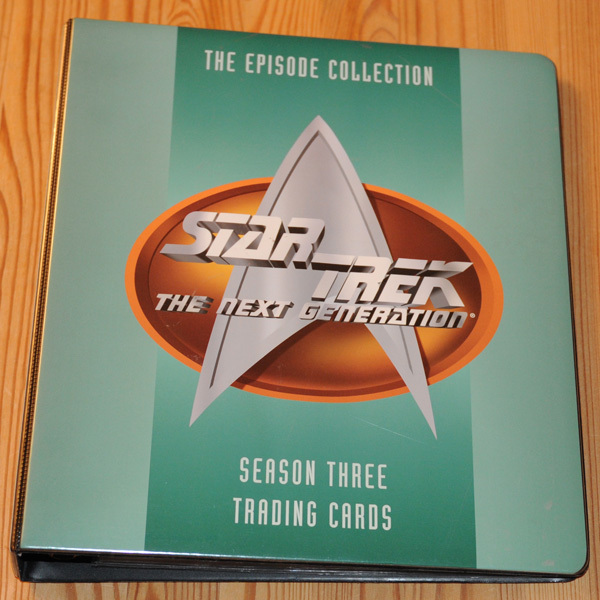 Each set was to have its own color scheme coordinated through the cards, wrappers, boxes and binders. 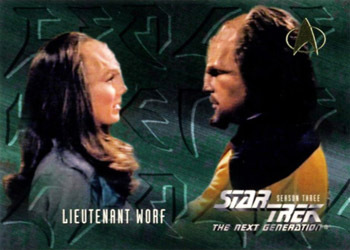 The color scheme for this set is green. 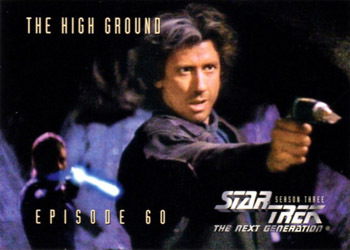 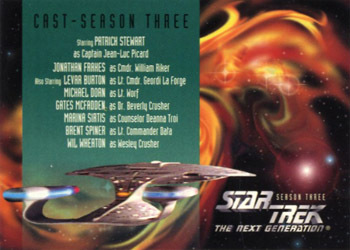 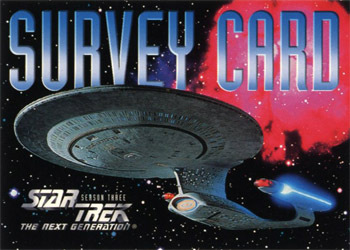 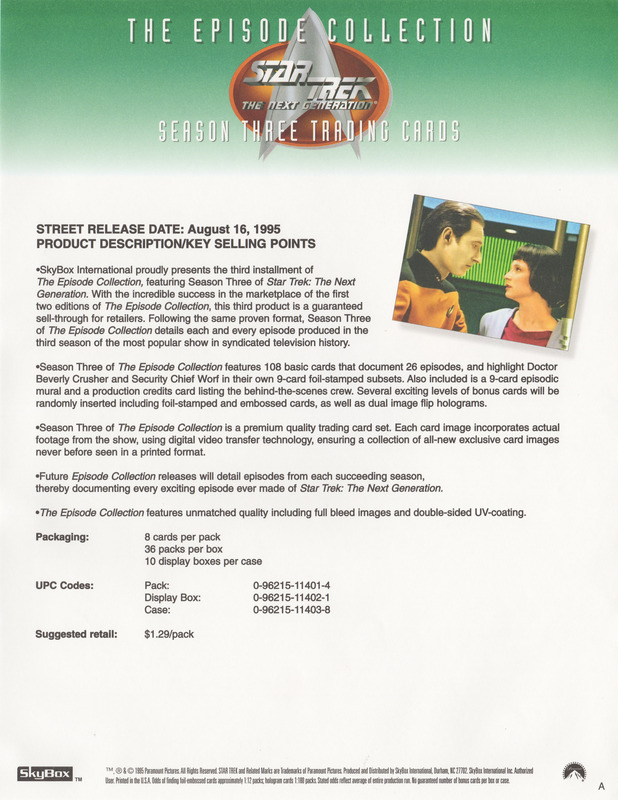 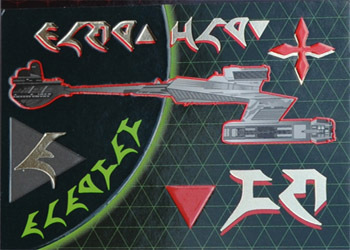 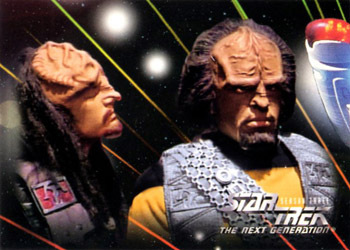 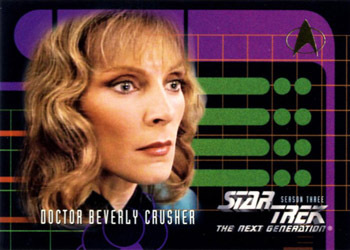 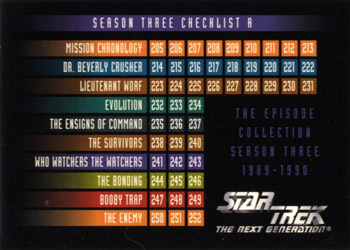 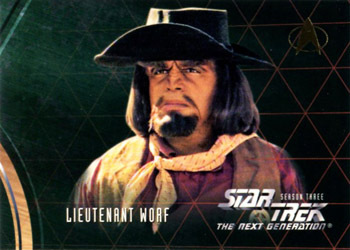 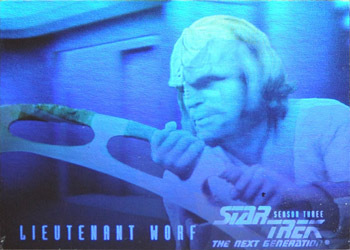 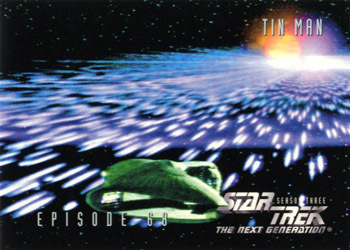 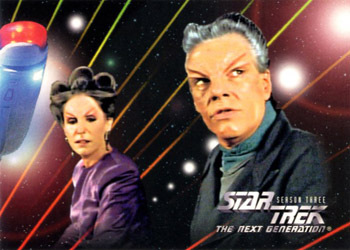 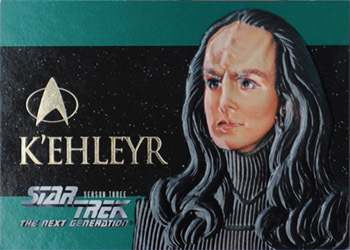 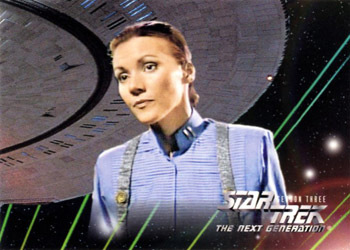 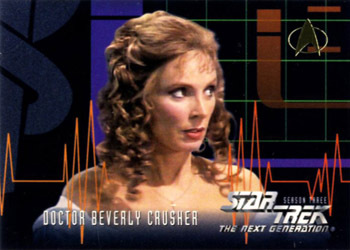 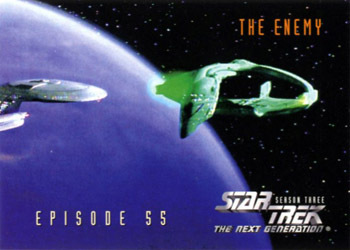 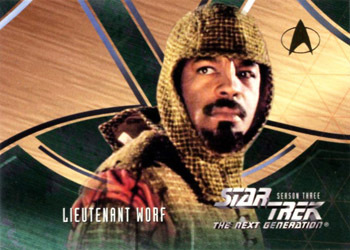 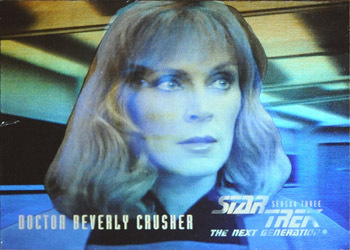 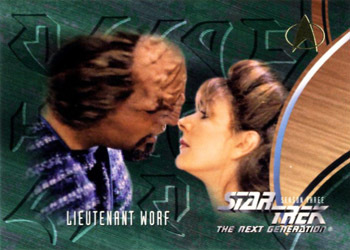 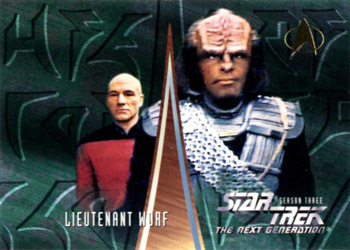 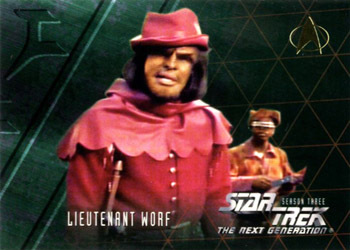 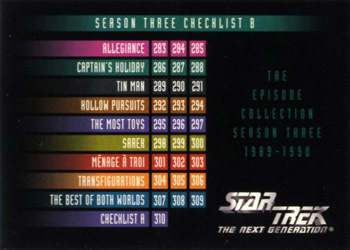 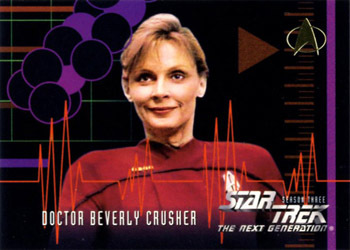 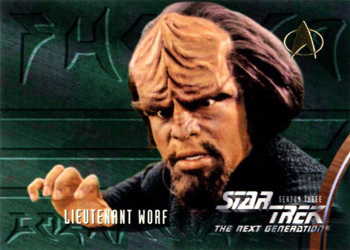 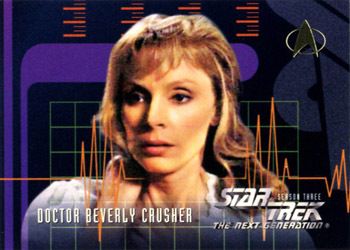 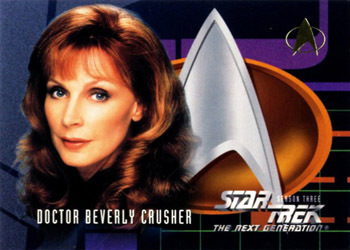 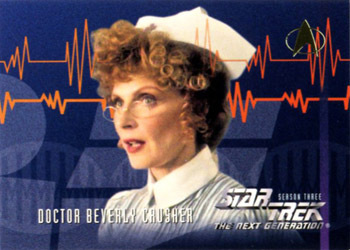 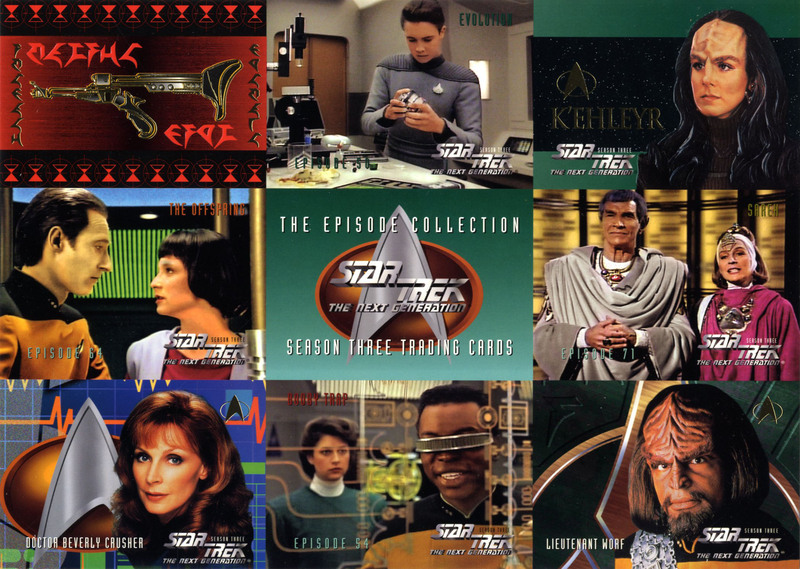 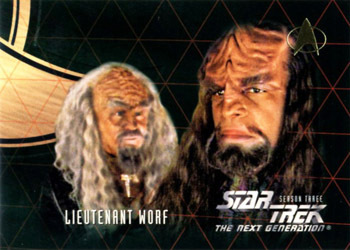 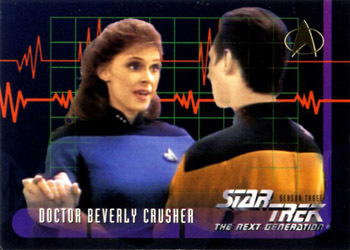 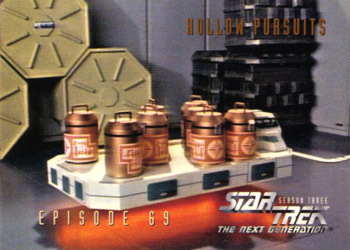 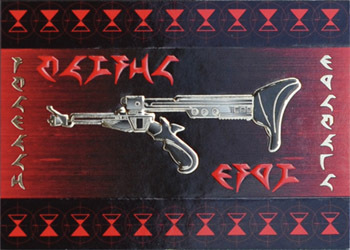 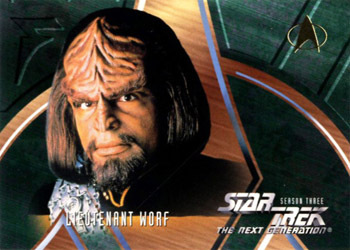 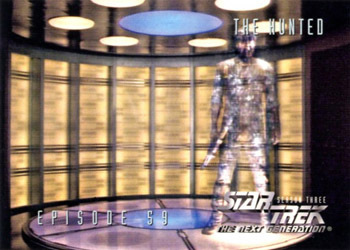 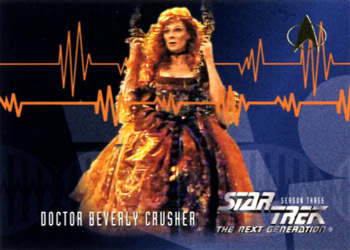 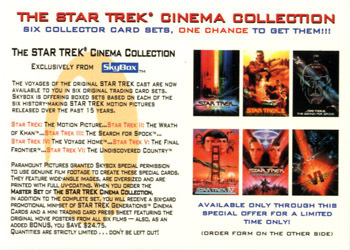 The chase sets for season three included; three foil Klingon cards, three foil embossed supporting Character cards and two Hologram Character cards. 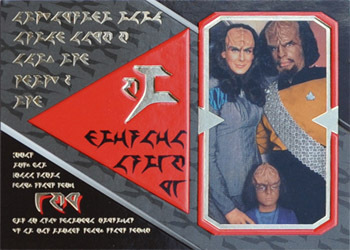 P1 Prototype 9-up panel - 7½" x 10½"